In collaboration with Curious Pictures, two human-size foam latex, half-body puppets with live hands were created to promote The Ninth Judgment by James Patterson. The concept centered on a realistic caricature puppet (James Patterson) and an obsessed and adoring fan, Josie. Puppet Heap designed and built both caricatures and provided on-set support during production. 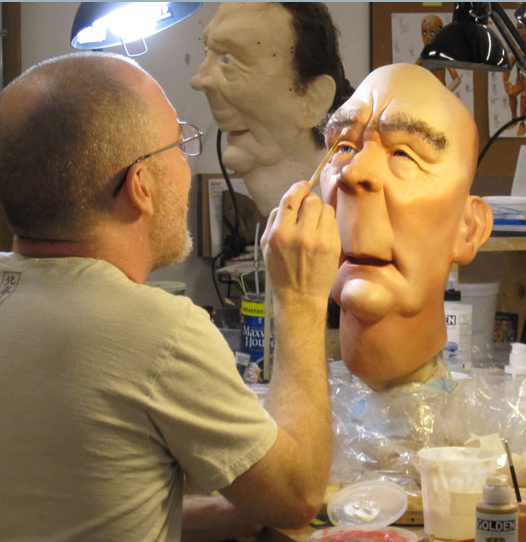 Artist James Godwin sculpting the clay head of Josie for casting. Character design of James Patterson by Paul Andrejco. Artist James Godwin painting foam latex head of James. Josie and James on set. Artist Tim Daly preparing clay sculpt of James for molding. 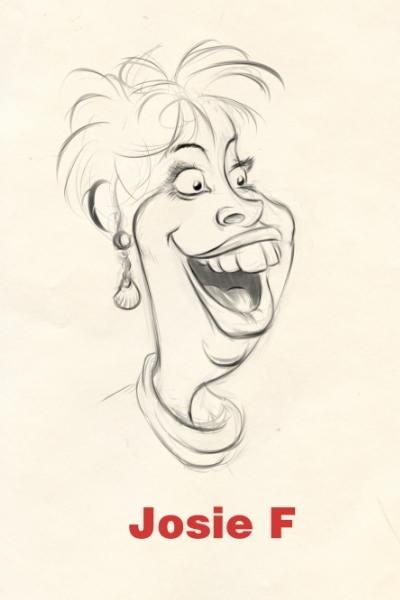 Character design of Josie by Paul Andrejco. Eye mechanism for Josie puppet. On set filming with James and Josie, puppeteered by James Godwin and Melissa Creighton.